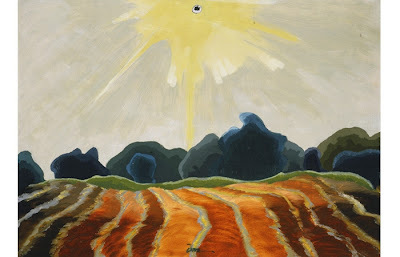 Arthur Dove will be featured in the Frist's newest exhibit. What are you getting your honey for Valentine's Day? My hubz and I exchanged last night (oops!) because he got me a fabulous gift that I would start using this weekend if I had it. He got us a dual membership to the Frist Center, Nashville's premier art museum. With the membership, we get free unlimited entry to every exhibit, free audio guides, and access to special events (among some other things). We try to keep life on a tight budget right now so date night options are limited. This, however, will allow us to go to an art museum whenever the fancy arises (and for me, that's often). I can't be more thrilled about it as it will save money and let me go to all of the exhibits I want as many times as I want- yes I am that person :) Plus, I love giving and getting experiences as gifts instead of just stuff. So if you are looking for a V-Day gift idea for your sweetie, check out what your city has to offer in terms of memberships to museums, theaters and the such. If you're in Nashville, definitely consider the Frist!